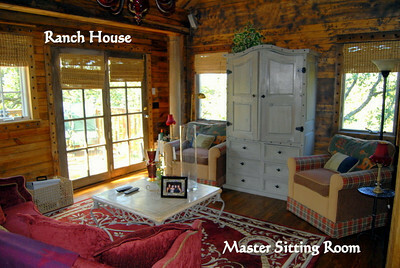 There are 4 Private Spacious Guest Houses & a Charming Barn Apartment situated on this majestic 230acre + property. 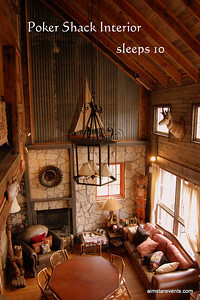 These Cowboy Chic accommodations can house 36-40 sleep-over guests at one time making it the ideal setting for Family Vacations or Special Reunions, Retreats and Events. 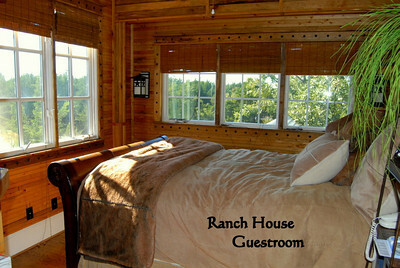 Each Guest House varies in size, style & price but all are equipped with full amenities and all the comforts of home. 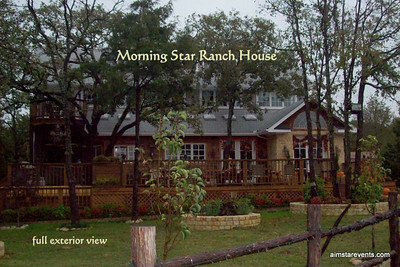 Each vacation package is ALL-Inclusive and includes shuttle service to and from DFW Airport, standard food & beverage package & all activities. 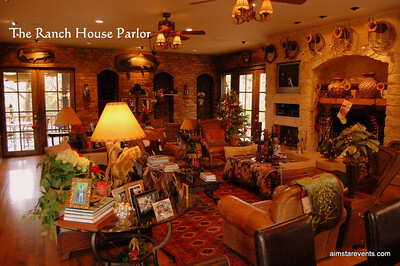 The Ranch House Parlor is richly decorated in a Luxuriously Rugged Architectural Digest Style and complete with TV's/Direct TV/ WiFi/Surround Sound/DVD Players/Movies/ Fireplace/2Wet Bars w/ commercial ice maker, wine captain unit & mini dishwasher for parties & glassware/His & Hers bathrooms/Board Games & Large Gaming Table/Musical Instruments & ample reading material. 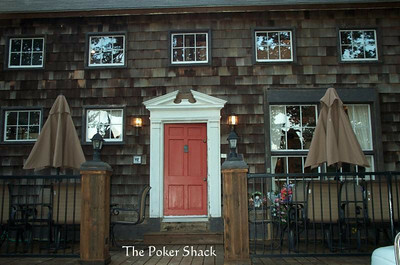 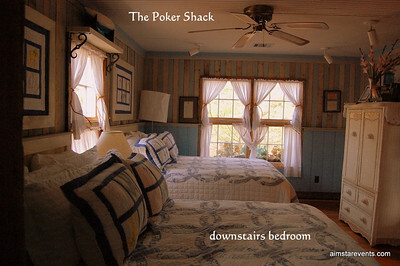 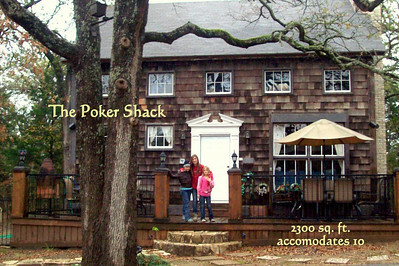 The perfect place to entertain or relax with family & friends. 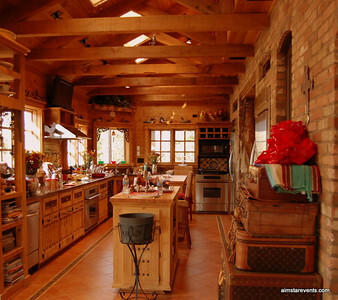 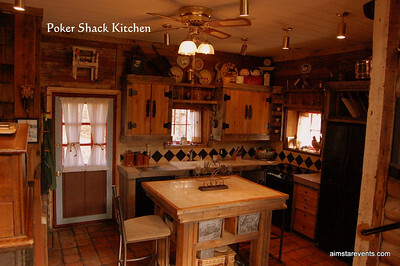 An Entertainer's Dream Kitchen. 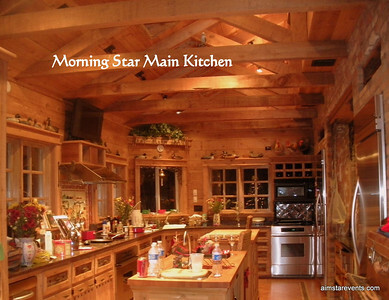 This spacious & dazzling kitchen is complete with 2 State-of-the-Art Stainless Steel Refrigerators, 2 Top-of-the-Line Stove-Tops & Ovens, 2 Dishwashers, 2 Microwaves, commercial ice maker, 3Bread/Food Warmer Drawers, 2 Wood-Top Prep Table Islands, 2 Flatscreen TV's, Surround Sound, intercom, an impressive selection of Cook Books and top quality cookware & serving pieces. 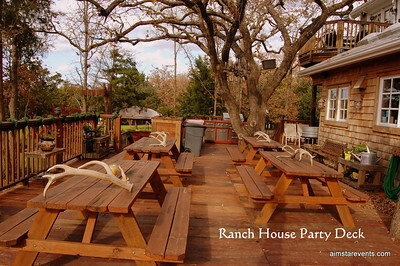 This expansive wrap-around party deck off the main Ranch House boasts one of the best views of The Ranch overlooking the Main Lawn, The Lake & the owner's Sculpture Garden. 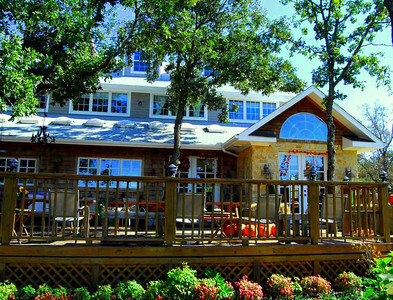 This stunning outdoor party deck is outfitted with oversized seating areas and picnic tables, professional grade outdoor grill/bbq facilities, oversized full bar, handsomely decorated outdoor bathroom & shower, & large trough style ice & beverage containers. 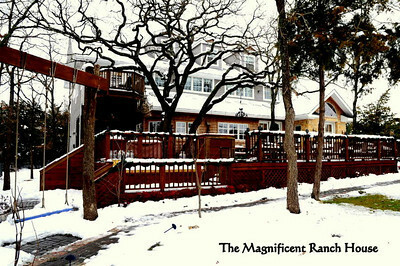 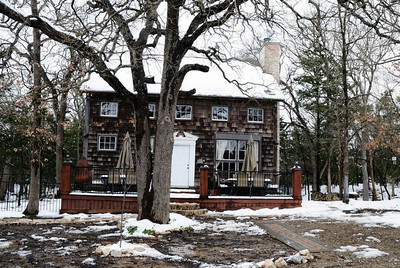 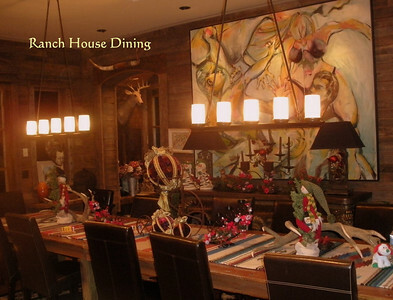 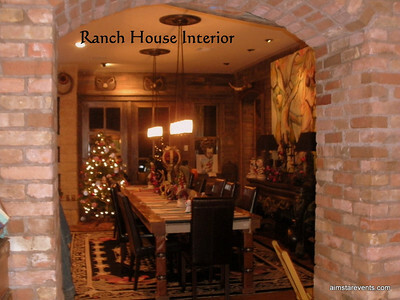 Dine In Style & Warmth in the Main Dining Room - Ranch House. 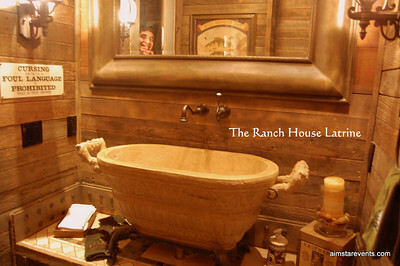 Its all Fun & Games in The Ranch House Parlor. 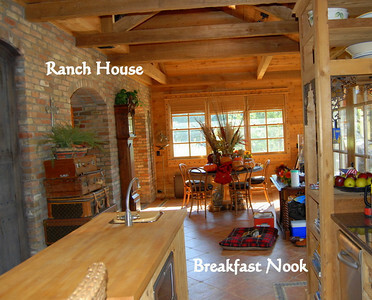 The Spacious & Sunny Breakfast Nook. 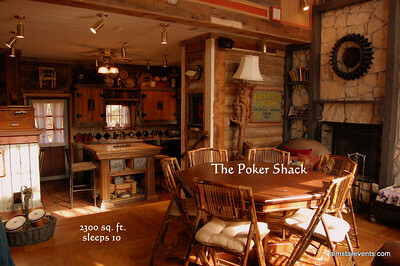 An Entertainer's Paradise. 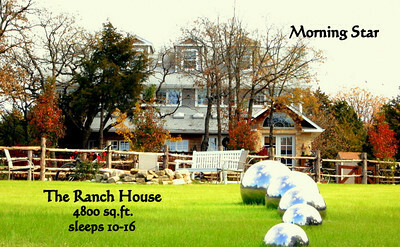 This spacious & dazzling kitchen is complete with 2 State-of-the-Art Stainless Steel Refrigerators, 2 Top-of-the-Line Stove-Tops & Ovens, 2 Dishwashers, 2 Microwaves, commercial ice maker, 3Bread/Food Warmer Drawers, 2 Wood-Top Prep Table Islands, 2 Flatscreen TV's, Surround Sound, intercom, an impressive selection of Cook Books and top quality cookware & serving pieces. 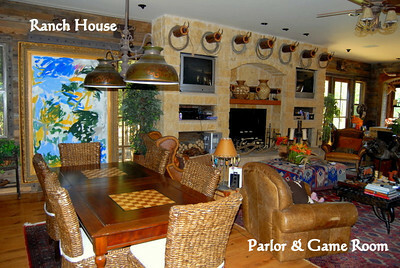 The Charming & Cozy Master Suite Sitting Room complete with private Coffee Deck that overlooks the owner's Sculpture Garden & McDonald Lake. 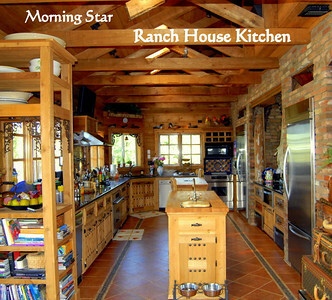 The Ranch House 3rd-Story Private Kids Quarters comes complete with TV/DVD Player/Karaoke Machine/Musical Instruments/Mini-Kitchenette & Secret Kids-Only Hideaway Rooms. 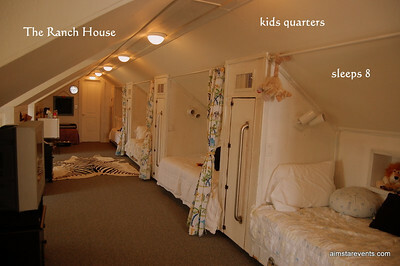 A Kids Paradise!! 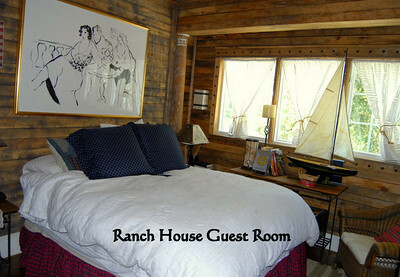 One of the Cozy & Richly Decorated Guest Bedrooms. 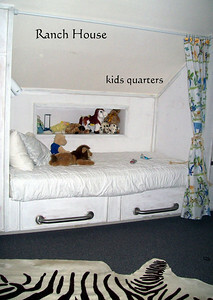 One of the 4 Built-In Captains Bunks in the 3rd Story Kid's Retreat. 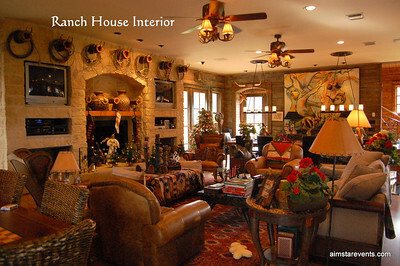 The Ranch House Family Room is ornate, grand & very cozy, making it the perfect setting for entertaining or relaxing with family & friends. 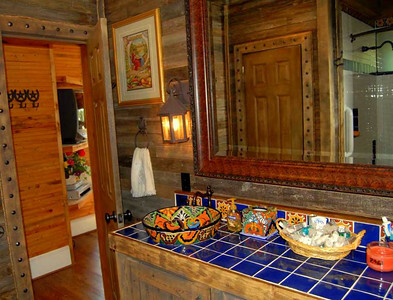 Complete with Direct TV, DVD's, Surround Sound, Oversized Fire-Place, Wet Bar, Wine Fridge, Ice Maker, His & Her Bathrooms, Board Games & Game Table.